While we're ostensibly an Android site, that doesn't mean we're not interested in Google's other forays – including in other countries. Besides multiple spats over censorship with China, Google's greatest enemy country is Iran, which looks very skeptically at what they see as a worldwide web designed by evil Zionist Westerners. In May, Iranian government officials sought to ban Google, GMail and YouTube, and were largely successful. Over 20 million Iranian users went without access to Google's services. Today, Iranian officials renewed their ban on all Google services, and vowed to cut their citizens from the rest of the Internet within the next few months. 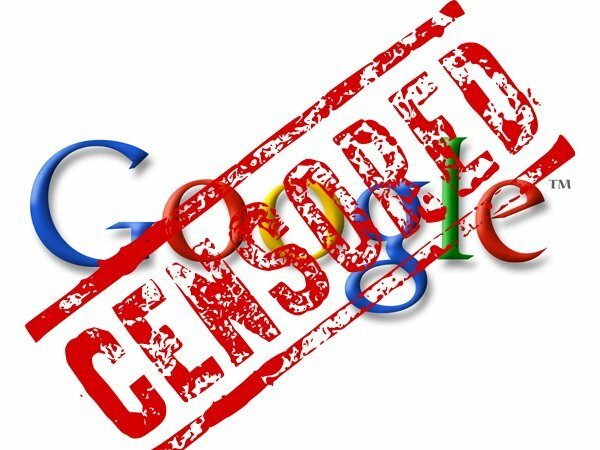 A government minister by the name of Khoramabadi said that "Google and Gmail will be filtered throughout the country until further notice." The government is citing the inflammatory "Innocence of Islam" film as a reason for censorship, although a communications and technology minister named Reza Taqipour also said another reason is that "you can't trust the Internet in times of crises." But you can trust Tehran, right? Instead, Iran is planning their own Internet. It'll likely be full of anti-Western propaganda and diatribes against other Arab countries, and will effectively smother any dissonance while further isolating the population from communication with the outside world. Already, the country has blocked BBC, CNN, the Guardian, Facebook and Twitter. In other words, Iran is already one of the most censored countries in the whole world, and it's about to get a lot worse for average folks there. James, that's because you're not viewing it more broadly. First of all, I said it should be optionally, it shouldn't be an Internet that would replace the international version. It could be for example a much better Internet for children, by forbidding all the adult material from this version. It could be an Internet that everyone has right to, even for free, and to access governmental websites such as tax on the Internet, library archives, etc. All for free, because information should be free. It could also be an Internet that allows only national email, which would drastically reduce spam, which is 99.9999% of the time coming from a foreign country and in a language that is not my own, such as English. All of this with increased national security, by for example activating SSL everywhere, with a national SSL certificate. And all of this would be under the jurisdiction of your country, so no more USA creating rules and which they force on to the whole world. Same to other countries. These are just ideas I made up right now. The options are limitless. i just want to say : why usa deosn't want them to use nuclear energy?? The funny thing about Iran is -- from reports I've read, the population is actually quite pro-US. Walk down a street in Tehran and you can find tons of bootlegged Hollywood films. It's the government that puts up huge murals with the Statue of Liberty as a deathly skeleton, under the heading "Death to America." Whenever we talk about Iran, we must be super careful to recognize the dichotomy between the government and the people; it sometimes feels as if they're living on two separate planets. Of course, a national Internet could protect Iran from cyberwarfare, but the affect it will have on ordinary citizens will be terrible. Perhaps this could be the straw that breaks the camel's back. Perhaps the people will now be inspired to rise up. The ayatollah is not a popular figure. But it could be a while before we see a true revolution here. Atlas, once you said a government run internet was a good thing I just tuned out the rest. you sir are a moron. Well, the two countries are almost at war with each other (and they already are in the cyberspace) so it's not strange that Iran takes steps like these. Especially after those dirty illegal cyber attacks of Israel and the USA. I don't approve any kind of forced censorship, and we're seeing more and more of this in every country in the world, even in the oh so free Western world. I do think a national Internet is not a bad idea, because it can lead to many good things and more security, but it should be an option besides the international version. And about your lame propaganda argument, we're already seeing tons of that on the real Internet, both from America and "anti"-American countries, and even in the news. There's so much of if that you can't take an objective side anymore without the proper criticism education. We're all already being influenced by propaganda without even realizing it. After all, all we do is hear things we want to hear and don't accept anything that is not in line with our thoughts. Most of the time, these thoughts are not even our own. Persia the land of knowledge? knowledge of what? Medeivalism? Do not forget, Persia was the land of knowledge. Really, the origin of modern medicine. Eventualy the intellectuals all took off during the early 80's when they realized they would not be tolerated by the Mullahs.. Many ran off to Germany, France, and England, some even to the USA. Simple isolationism. The Mullahs got into this when they took power in 1979 (Islamic revolution) and have never stopped. So, the less you know; the easier it is to control you. The greatest weapon we have is education, which is why people in power, be they priests or politicians, are so scared of the internet. Inquiring minds are all we need to bring sense and peace to the whole world, inquiring minds with a reasonable education. No disrespect to anyone's opinion, but thw media wants us to know what they want and not the actual facts. I'm not really sure of what is said about Iran is true. These nuts will contribute to world end of days. Just look at which criminal Syrian head of state they are supporting! !! Why are they censoring the world?! I don't get it... If everyone's educated and knows a lot about the world, they can all together make the world a better place, right? So why is the government doing that?? They can't just go do things like that! Why doesn't anyone DO something?! !